Dry Van Loadboard Revolution--Truckers, Now You Can Post Capacity & Your Rate. FREE. Find Dry Van Freight Fast! HaulHound is a free app that lets you post your current and future capacity. 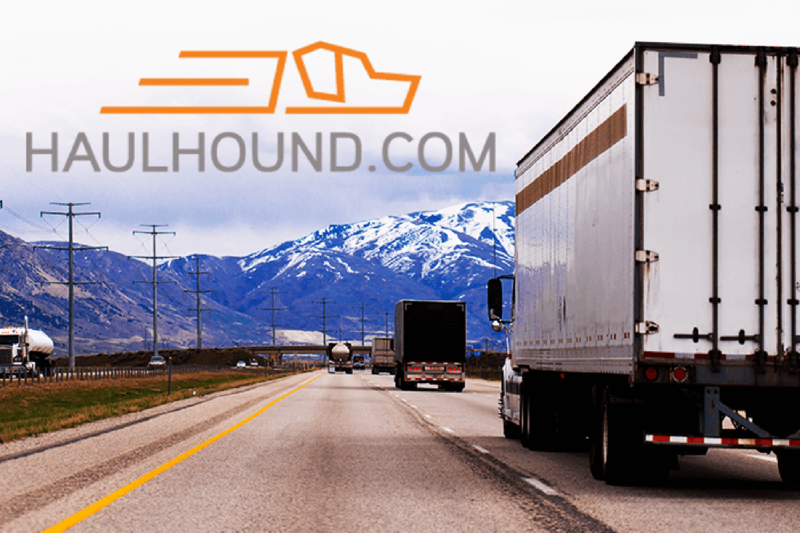 Aggregating logistics info on empty trucks from numerous sources direct from carriers, smart phone apps, and load boards, HaulHound functions as the most dynamic free loadboard solution available. Sign up, view up-to-the-minute loads, post your current and upcoming capacity, manage your lanes and wait for shippers and brokers to contact you about shipping at the rate you posted! We are proud to offer support for dry van loads, filling all the functions of traditional van loadboards–and more! If you’re an independent trucker, owner-operator or fleet manager looking for available loads, you’re gonna get ’em! Post capacity and get loaded with freight INSTANTLY — no need to spend time searching loadboards! Van loads in Florida, California, Texas & Everywhere Else in the US & Canada!